by McBurney, Donald H., White, Theresa L.
Comments: ALTERNATE EDITION: This is a teacher's edition textbook. May contain wear on the cover. May not contain access codes or supplementary material. 2nd day shipping available, ships same or next business day.This is the U.S. student edition as pictured unless otherwise stated. 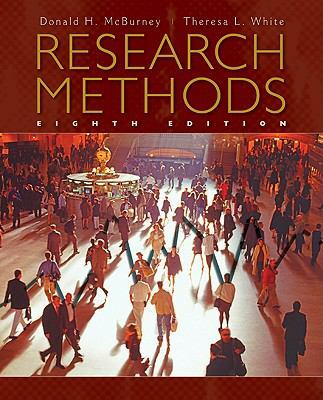 McBurney, Donald H., White, Theresa L.
McBurney, Donald H. is the author of 'Research Methods', published 2009 under ISBN 9780495602194 and ISBN 0495602191.